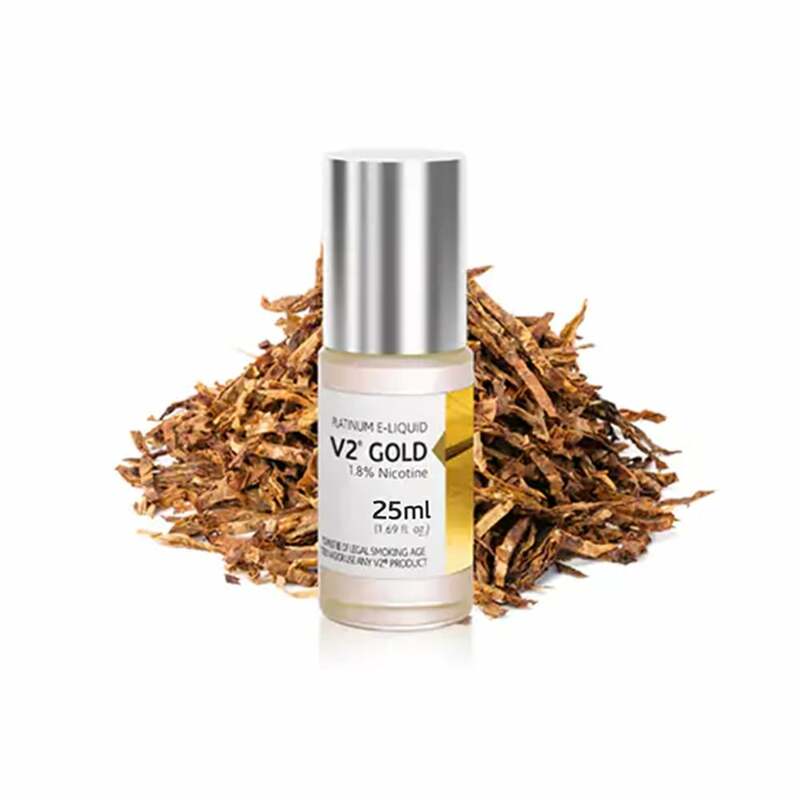 A luxurious tobacco vape juice, V2 Gold Tobacco delivers a rich, cigar-style flavor with a hint of underlying sweetness. Woody Virginia tobacco tones come to the fore in this premium-tasting blend, giving you a classic and satisfyingly authentic vape with a slight twist. Available in 24mg (2.4% nicotine), 18mg (1.8% nicotine), 12mg (1.2% nicotine), 6mg (0.6% nicotine) and 0mg (nicotine-free).